A week late, but ended up so busy last weekend that I couldn't do the finishing touches on the skirt like I wanted to. Many lessons learnt from this outfit - didn't quite get the blouse tie sitting right, but I saw a similar blouse in an op-shop recently and had a lightbulb moment as to how I would do it next time; the lining fabric I used for the skirt is too thick, and makes the seams look massively bulky; got over-zealous and trimmed the hem far too much and made the skirt too short - remember, less is MORE! 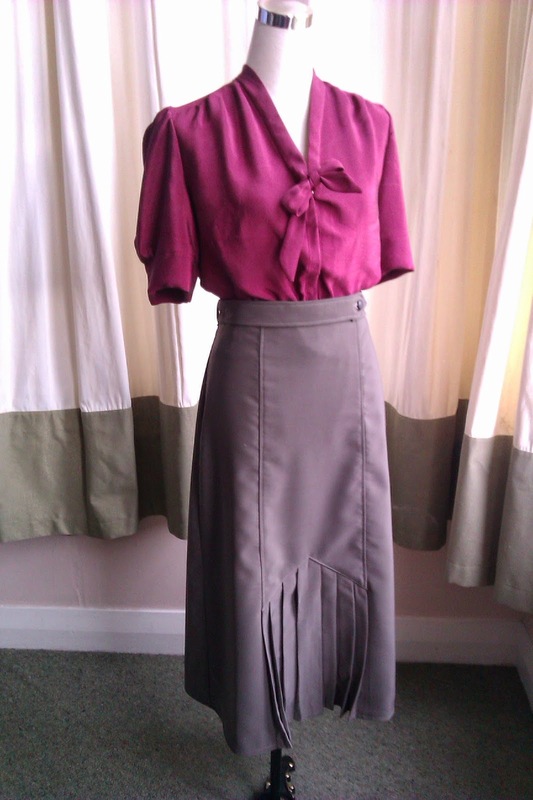 ; don't like how the hem of the pleats are sitting but I know what caused that and will do it differently next time.